A renewed interest in a couple of other hobbies has seen my time for reading diminish so I haven't read as many books as I would have liked to this year. My aim in 2019 is to rectify this by balancing my time better (best laid plans and all that...) as there have been many books released that I would have liked to read. As always click on the book number to be taken to the review. Winchester Landon is on his way to the nearest Army outpost when he finds an injured Apache. Against his better judgment, he decides to help. His choice has lingering consequences. 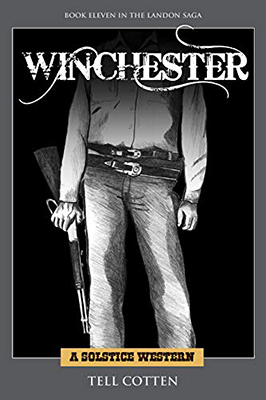 Along the way, Winchester gets tangled up with three men looking for revenge, two dishonorable scouts, a talkative gunfighter, a war chief out for blood, and a woman he’s not sure he can trust. We first met Winchester in the previous book in the Landon Saga and as many of Tell Cotten’s fans hoped he now gets to star in his own story. This tale does continue a couple of storylines from book ten but if you haven’t read that Tell gives enough information about events in Midway that you’ll easily understand what is going on in this one. 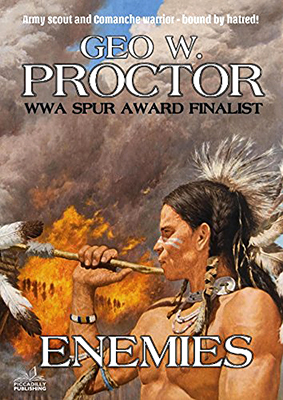 Like all the books in this excellent series this story is extremely fast-paced and contains some terrific dialogue and well-drawn characters, especially Choctaw. Action scenes are vividly written and the plot is nicely thought out, offering a neat twist near the end that involves Winchester having nerves of steel. Winchesters involvement with the woman mentioned in the blurb forms a major part of this story and his growing feelings for her see him challenging his motivations and job as an army scout and this complication kept me turning the pages alone as I had to find out how this would work out. Winchester isn’t a long book, the print version clocking in at 164 pages and all too soon I found myself at the end and am left hoping Mr. Cotten doesn’t keep us waiting another year to find out what happens next – yeap, the author leaves a couple of threads hanging to ensure you’ll have to buy the next book in the series, but then all of us who have read Tell’s work would do that anyway as you can guarantee you’ll be getting a top-class read. Sin was a profitable commodity in a mining town like Motherlode. Lust made money for the madam, wrath and avarice created targets for the manhunter, and the newspaperman was greedy for stories. ‘He had no right to take you against your will.’ When a prostitute is raped during the robbery of the Motherlode stage, Jonah Durrell seems to be the only man who cares. The handsome manhunter can never resist a damsel in distress. He is determined to get justice for Miss Jenny’s girl, and recruits Robinson, an enthusiastic newspaperman who witnessed the attack. The women are not meek and passive though. They are willing to take matters, and guns, into their own hands to survive in a tough world. Together with Durrell and Robinson, they begin to uncover the layers of lust, avarice and envy in town, bringing down the wrath of their enemies. Can the women of sin get the justice they deserve? The Sins of Motherlode is Gillian F. Taylors’ seventeenth Black Horse Western and sees her revisit characters first introduced in Two-Gun Trouble, a story that also takes place in Motherlode. I haven’t read this particular book and there are brief mentions of some of the events that happened in that story in this sequel, but you certainly don’t need to have read that previous tale to enjoy this one. Durrell is incredibly vain, and this leads to some amusing dialogue at times. But it’s when his good-looks are threatened by a knife that Taylor really shows her expertise in creating tension and making her readers share her heroes fear. Taylor also writes action scenes extremely well, and this book contains robbery, fistfights, and a lengthy gun battle that are as vivid as they are exciting. The plot is fast-moving, and although the mastermind is easy to work out, it’s finding out who actually robbed the stage and raped Louise Waterford that adds mystery to the storyline. When everything is worked out by Durrell and Robinson there is the problem of finding evidence to pin the guilty to the crime. 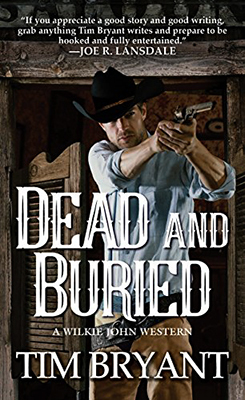 This all leads to that excellent gunfight towards the end of the book that shows just how capable the women of this story can be with a shotgun in their hands. 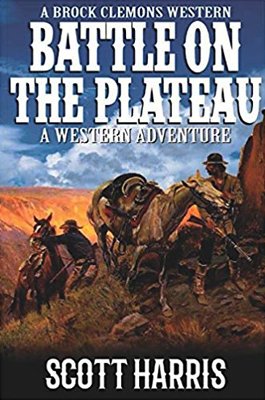 I’ve read a few of Gillian F. Taylors’ westerns and have enjoyed them all, and this one strengthens my belief that she is a writer worth reading. Three desperate women. One deranged killer. No way in hell is John Hawk going to sit back and let the innocent get slaughtered. 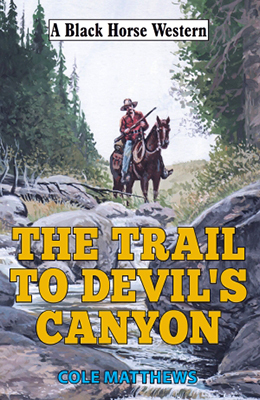 He first meets the three lovely ladies as they’re fleeing in a wagon – alone – through Blackfoot country. What’s their rush? 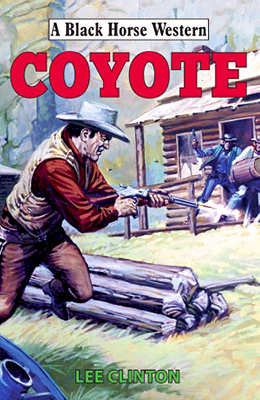 They’re being pursued by a wanted outlaw who wants them dead. 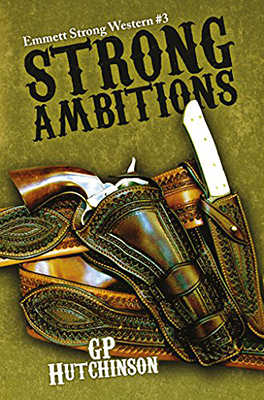 Their only chance is to reach the Last Chance Saloon in Helena – and John Hawk is their last hope . . .
Hawk can track down a low-life like nobody’s business. But this time he has to stay two steps ahead, keeping the ladies safe and sound until they get to the saloon. There’s just one problem: the outlaw got there first. He’s the notorious Zach Dubose. He’s waiting for Hawk and his girls. And he’s ordering them a round vengeance with a bullet chaser – and death on arrival . . . 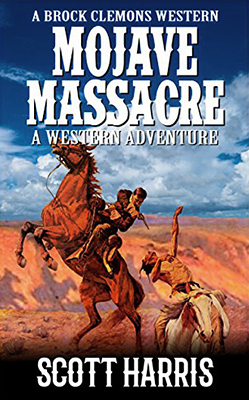 This is the second book in Charles G. West’s new series featuring army scout John Hawk. It’s while on a mission for the army to try and persuade some Blackfoot to live on a reservation that he meets the three fleeing women. 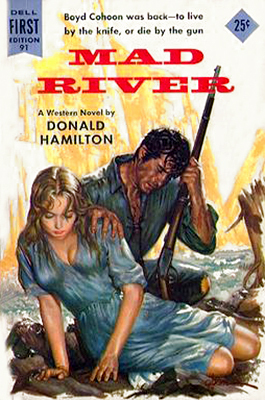 The Blackfoot assignment then becomes a sub-plot as saving the women becomes his main goal. 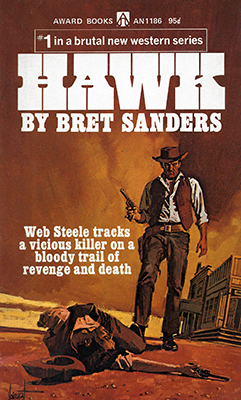 What is described in the blurb above takes place over the first 70 pages or so and Hawk soon sets himself a new task, hunting down Dubose and his two partners, but this isn’t an easy job as Dubose disappears leaving no trails as to his whereabouts, so Hawk finds himself working with the army again which leads to disaster. 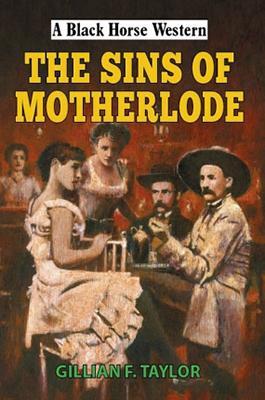 I’ve read a few books written by Charles G. West and have enjoyed them all, and this one is as equally entertaining as any of them. 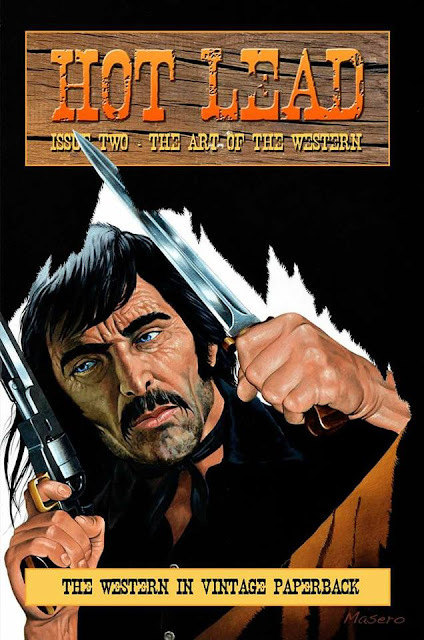 West’s character studies are excellent, his plots move forward at pace and his action scenes put you right there amidst the flying lead and dust. 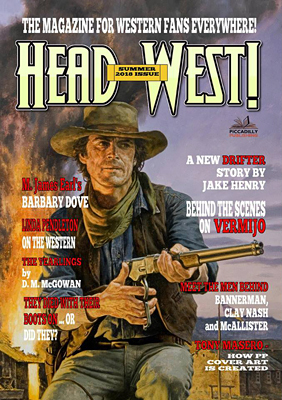 Another of West’s strengths is making his readers share the emotions of his characters and this is done particularly well in this book, especially when describing the turmoil Hawk feels that sets him out on his self-imposed mission. The book concludes with justice being served although not quite in the way I expected, but in a way that lets everyone get in on the act and that was the perfect ending to this story. Now I must keep my fingers crossed that there will be in a third John Hawk book in the not too distant future. A family is brutally murdered and their homestead burnt to the ground. The bodies are so badly disfigured that identity is difficult to determine, but one of the daughters is known to be missing. Is it eighteen-year-old Grace Mayfield or her younger sister, Chrissy? The missing Mayfield girl must now be found and the killers brought to justice. Some say it was the work of renegade Cheyenne. Sheriff August ‘Gus’ Ward has his doubts, but evidence is scant. 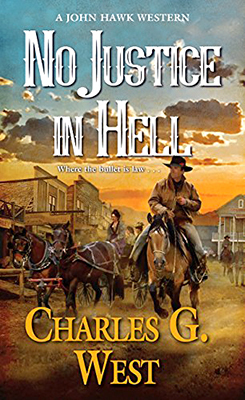 When the mysterious shooting of a stock agent on the streets of Laramie is linked to those who may have been responsible, Gus is faced with the savage reality that justice may not be served unless he is willing to take matters into his own hands. If he does, is he still a man of the law or has he crossed the line to become an executioner, and no better than those he is willing to kill? 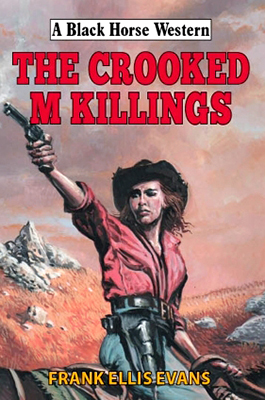 Lee Clinton creates superb atmosphere in the opening chapter that is both gripping and terrifying as the Mayfield family meet their pitiless destiny. This horrific mood continues as Gus searches the ravaged homestead for human remains. Frustration is another well written emotion Lee Clinton excels at which Gus and his search party must deal with when hunting for the missing girl. Gus must also fight with these feelings whilst trying to prove who’s responsible for the savage murders of the Mayfield family and when trying to discover the motive for these killings. When finding the one survivor of this massacre there’s the challenge of trying to bring her out of her shell, a dark place she’s withdrawn to that seems to have robbed her of her ability to speak. 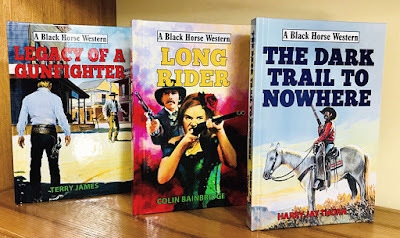 Lee Clinton is a pseudonym used by Australian author Leigh Alver and with his seventh Black Horse Western he once again proves he’s a writer to be reckoned with. His pacing is terrific, his characters well defined, dialogue and emotional content believable and his action scenes brutally real. The book closes with Gus having to make the decision outlined at the end of the blurb and this makes for a dramatic and exciting ending that didn’t finish the story in quite the way I expected, adding a welcome concluding twist. He taught them to steal—they left him for dead. The War Between North and South is over—but the wounds are still raw. Now, the expanding country unites around the connection of East and West by the railroads. Fortunes travel by train daily and desperate men will stop at nothing to take, by force, what isn’t theirs. Three men who share a dark history clash over a fortune in U.S. Treasury money. 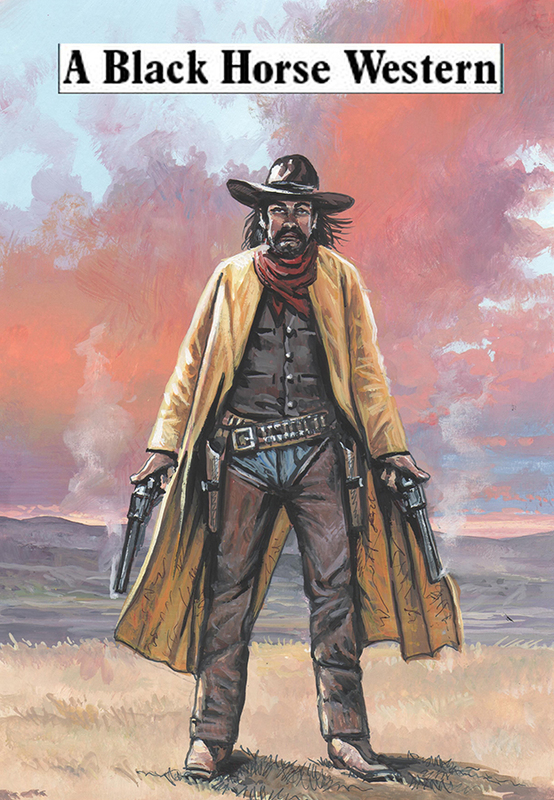 One is a Pinkerton agent, and two are outlaws and brothers. One man is honor-bound, one is bound by blood, and the other knows no bounds. 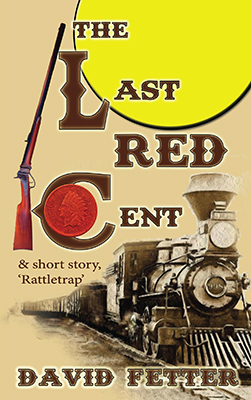 They all have one thing in common—they all want The Last Red Cent! This is David Fetter’s debut novel and he certainly proves he knows how to write a gripping, twisted tale that will hold the readers attention from the opening words. Switching between a number of well-crafted characters, I started to wonder if the book was going to feature a hero, or anti-hero as everyone seemed to have dark secrets and would stop at nothing to get what they wanted. Slowly a central character does emerge as flashbacks create a violent past that explains motivations. The action scenes are very well told, the violence being hard-hitting and brutal. As the death-toll mounts so do the twists and turns that make this book difficult to put down as you just have to know what happens next. 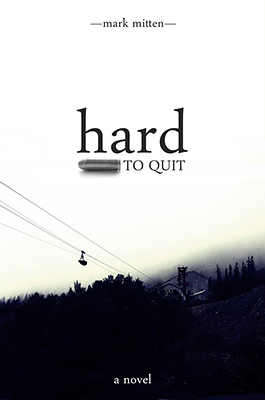 As the lead character strives to achieve his aims we see how his determination begins to become all consuming to the extent that nothing else matters to him. Surely this can only end in tragedy? The story also offers some interesting and thought-provoking insights into life and death, I particularly liked the offered reason as to why old people die. As Fetter’s story reaches its conclusion and everything seems to be turning out as perhaps expected the author surprises the reader with another twist and swiftly follows this up with a superb sting-in-the-tail that I didn’t see coming that finishes the story in style. 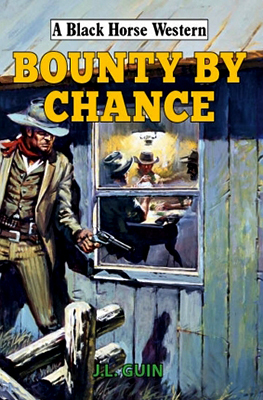 This is definitely a first western novel worth reading, and I was left looking forward to David Fetter’s next. 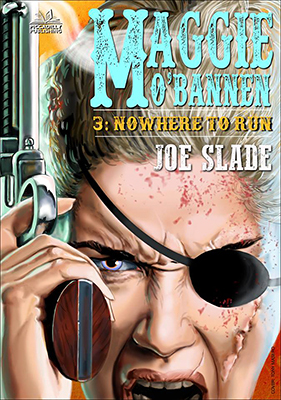 Also included in the book is the short story Rattletrap. 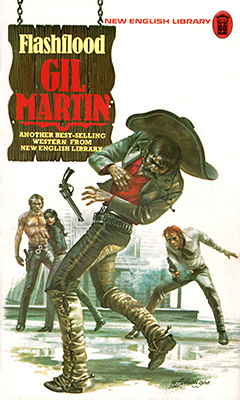 This isn’t a western but it's certainly worth taking the time to read if you like gritty noir tales. Entries close at Midnight on Sunday 15th July. The winner will be announced on the 16th.